Congressman Butterfield’s has worked hard to connect the rural communities of the First District to the global marketplace by encouragin high-speed internet investment and investment to improve our transportation infrastructure to create more jobs and expand opportunities for consumers and local businesses. Congressman Butterfield advocates for a new energy future calling for cooperation between public and private partnerships, research universities, and community colleges in efforts to prepare our country to compete in a new energy economy. An efficient energy policy would decrease American dependence on foreign oil and stimulate job growth in rural America. Congressman Butterfield has been proactively working to improve the transportation infrastructure of rural eastern North Carolina to spur increases in commerce and generate economic development. 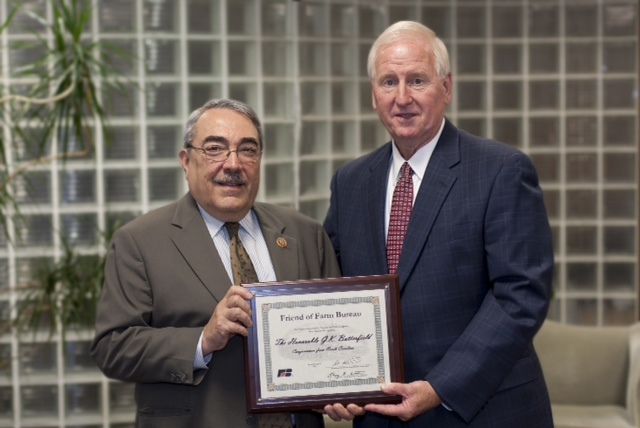 In 2013, Congressman Butterfield helped the City of Goldsboro secure a $10 million Transportation Investment Generating Economic Recovery (TIGER) grant to fund a major transportation project that will increase business and economic development for the region. He also introduced the Route to Opportunity and Development (ROAD) Act (H.R. 4829), to promote a future interstate through eastern North Carolina between Raleigh and Norfolk, Virginia. Congressman Butterfield has stood up for rural communities in eastern North Carolina and has co-sponsored the Farm Service Accountability Act (H.R. 4313) which would stop the closing of high volume Farm Service Agency offices. He also led his colleagues in opposition to the 2013 Farm Bill (H.R. 1947), on the House Floor because of the removal of the Supplemental Nutrition Assistance Program.